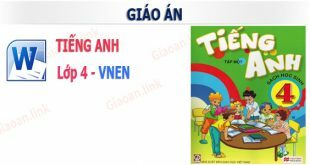 Giaoan.link chia sẻ cùng bạn tập giáo án tiếng anh lớp 2 chương trình abc english. 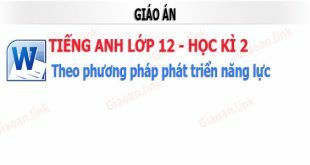 Mời các bạn tham khảo trong công tác giảng dạy. – By the end of the lesson, sts can read and use the letter “Ai” and some words including “Ai’’ letter. 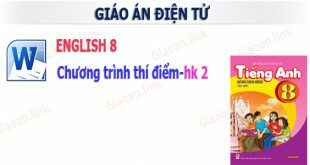 – Introduce text book, work book, the ways to learn English 2. – T reads the new words 3 times then has sts repeat again in chorus then individually. – T guides sts read the word then match the word with the thing in the picture on page 6. – Sts read then do matching. T corrects. – T lets sts make the words with the ‘ai’ sound. Sts make the words individually in the text book. – Develop sts’ writing, speaking skills. He is playing with the train. – T gives out the sentences then has sts complete the sentences. – T has sts read the sentences which they have completed. 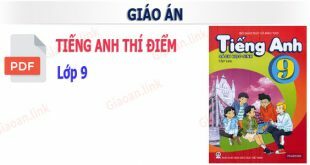 Từ khóa tìm nộ dung: giáo án tiếng anh lớp 2 abc, abc english 2.